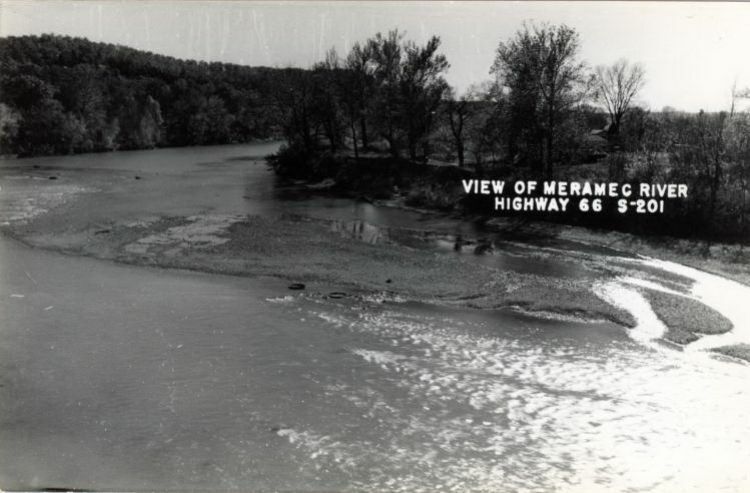 The name "Meramec" is an Algonquian Indian word meaning "catfish". It meanders some 250 miles from Dent County to the Mississippi 18 miles south of St Louis. Much of the beautiful valley would have been flooded in the Corps of Engineers had their way in the 1970's. The Corp wanted to build a dam near Sulivan. But voters killed the plan on August 8, 1978.